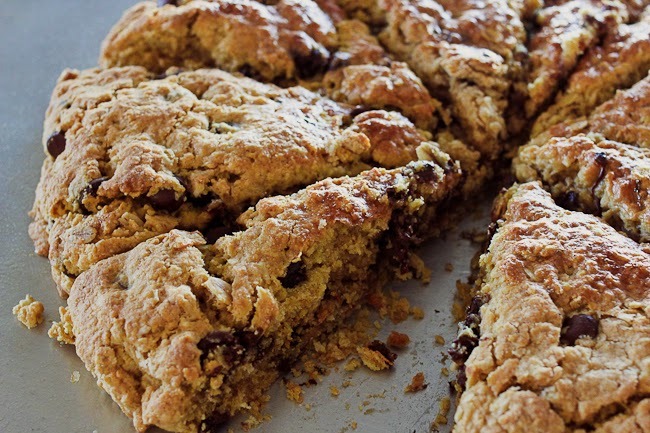 Peanut Butter Oatmeal Chocolate Chip Scones. I saw these on instagram and for the life of me cannot remember on whose account. So sorry! 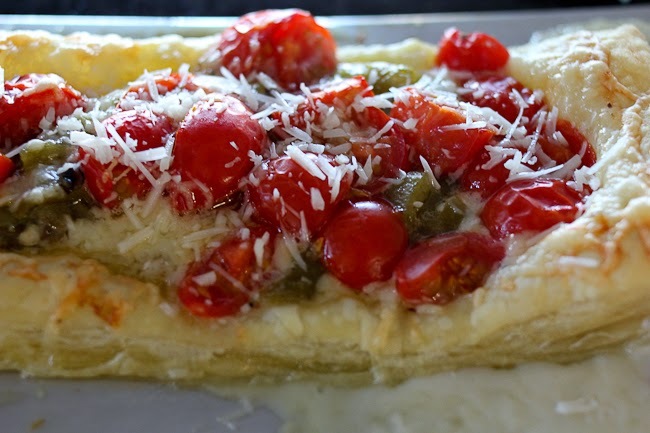 However, the recipe can be found here on M Loves M blog. These are really tasty. I made them thinking the boys would love them, and I'm not so sure they are crazy about peanut butter. But, they were a hit with Jeremy, so all is well. 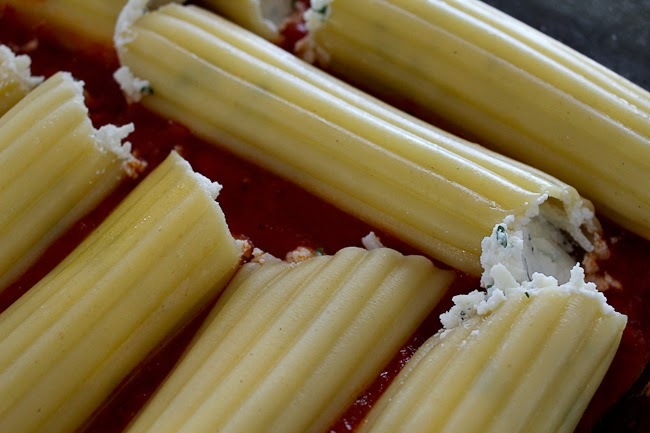 Cheese Stuffed Manicotti. I haven't ever made this as a married woman - crazy, huh! Especially crazy since it used to be the meal I asked for on my birthday. Jeremy asked for it the other day, and the kids loved it, so it might become a staple. I just used the recipe on the back of the American Beauty box. 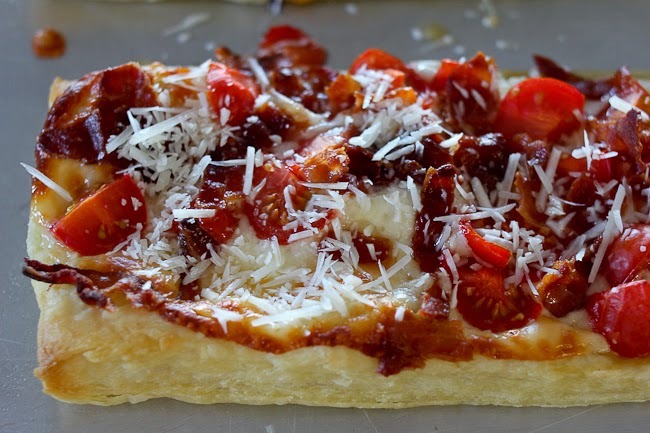 Simple and tasty! My sweet friend Julia makes desserts to order and is incredible at it! 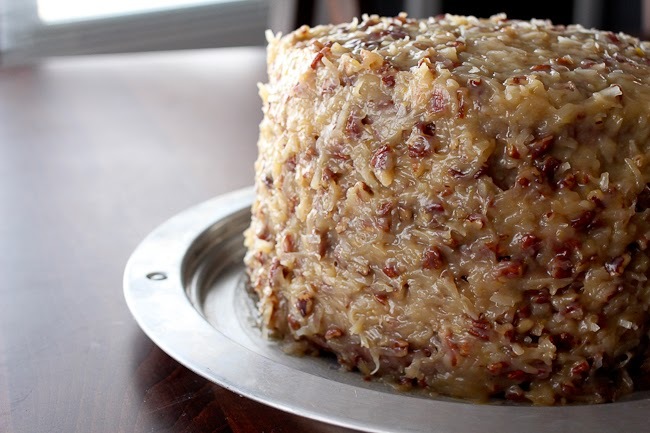 She sent me her German Chocolate cake recipe, and it is definitely a keeper. 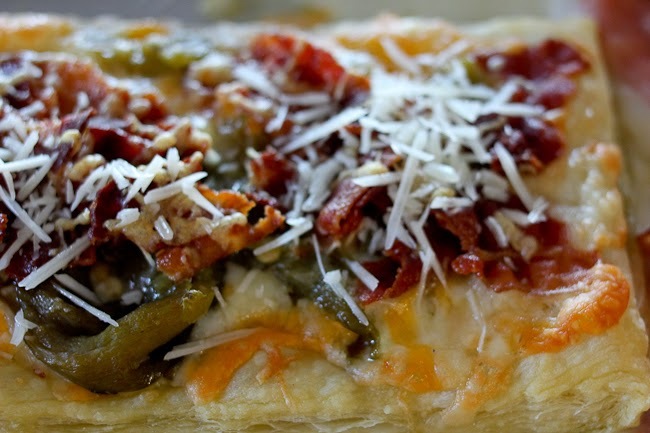 It stays moist and is just so yummy. 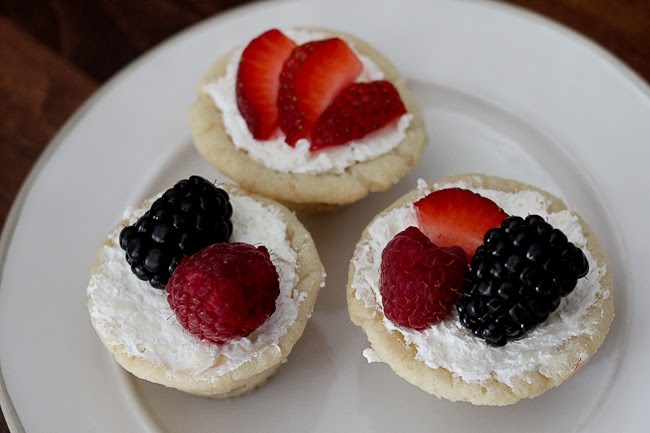 Finally, I made these little mini fruit pizzas for a shower. Next time, I think I'll look for a recipe that doesn't have cool whip. It wasn't bad, but it wasn't my favorite either. 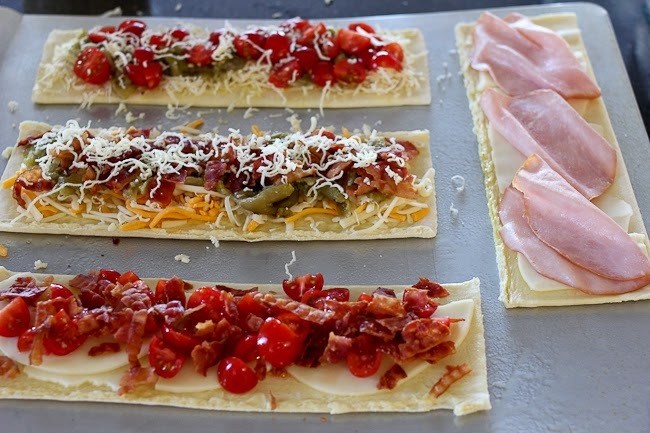 What recipes have you been making/enjoying lately? Um....I had cereal this morning with blueberries in it? And I cut up a banana to go with it. You put me to shame. These all look AMAZING! 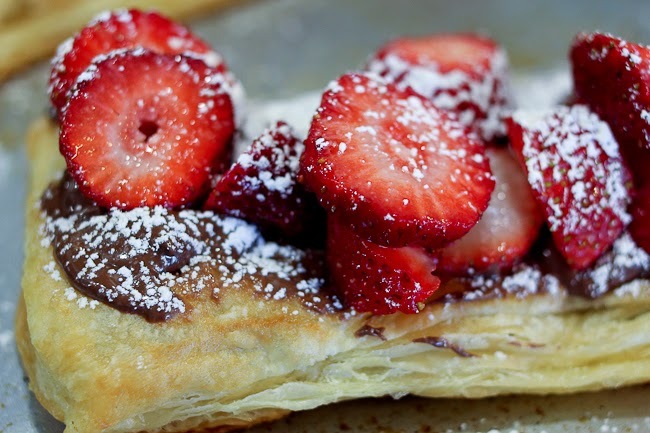 I am so trying the Nutella and strawberries on puff pastry! That looks amazing! I wonder if those little fruit tarts would be good with lemon curd. I have some in my fridge. Everything looks so good, I definitely want to try those scones! Ohhh I make those fruit pizzas with a cream cheese frosting! Delish!! Oh-em-gee!!! Can you please tell me how you are pregnant, taking care of three boys, aaaand busting out these amazing creations??? Codi, I think that must be the ticket! Definitely doing that next time!